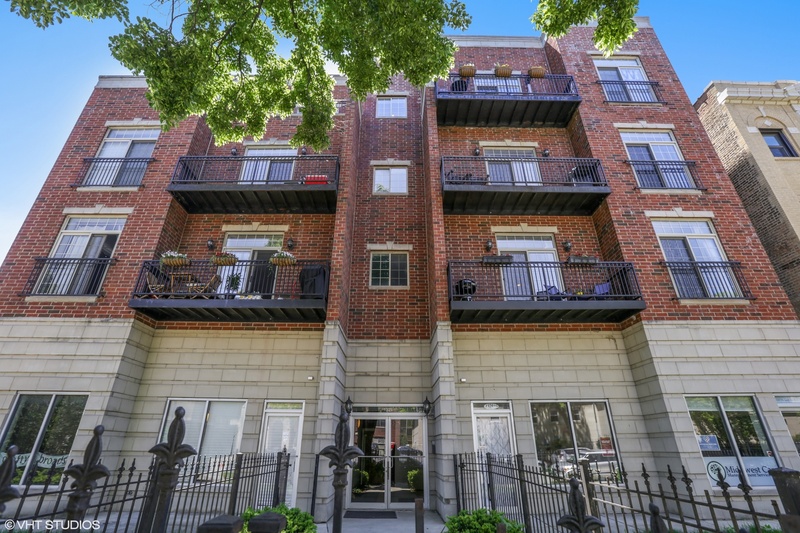 Beautiful 2 bed 2 bath Loyola Park Condo! Walkers Paradise! Kitchen features stainless steel appliances, granite countertops, upgrades include Bosch dishwasher, GE convection/microwave oven (2014). Gas fireplace, hardwood floors throughout. Upgraded full-size LG stackable washer/dryer (2014). Cat 6 cable in most rooms, In-ceiling speakers featured in living area, master bed/bath and second bedroom. Closet in main hallway has A/V rack, projector in living room, Lutron dimmer switches throughout. Master bedroom has large walk-in-closet, en-suite master bath has marble tile, spa tub, separate shower and double vanity sink. Elevator building, common roof-top deck, storage cage. Assigned garage parking. Assessments include:exterminator, cable/internet, water, garbage / recycle removal, snow removal, com. insurance. Walk to beaches, restaurants, parks, Whole Foods, CVS, Loyola University. Minutes to Edgewater, Andersonville, Evanston. Short walk to redline, bus & new Target coming soon!